Convenient carbonless copies in handy book form! NCR (No carbon required) books from Flexpress are perfect for a variety of uses where a no-fuss copy is required instantly. Normal pressure from a ball-point pen or impact printer onto the top copy produces clear legible copies on subsequent sheets below without the need for messy carbon-papers. The paper is specially treated so when the molecules of one sheet are crushed and mixed with the molecules of the next sheet, the colour changes and hence a copy is produced. NCR Books are handy as the top sheets are perforated for easy removal from the book whilst the bottom copy is not perforated so stays firmly fixed into the book for your convenience. This has the added advantage of keeping important copies together for easy retrieval. Each book comes with 50 sets stapled in and has a manilla card cover and a heavy duty card back. 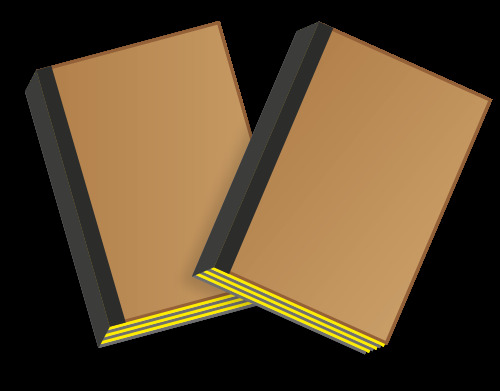 Books are spine taped and trimmed for a professional finish. Amongst the uses for NCR books are: invoices, statements, receipts, membership forms and agreements. 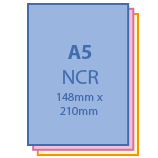 Why Flexpress for NCR Books?